Our days are numbered and wasting your time on something that does not make you tick is the luxury you can’t afford. If I could inspire at least one person to pursue their passion, no matter how hard it might be, that’d make me happy. 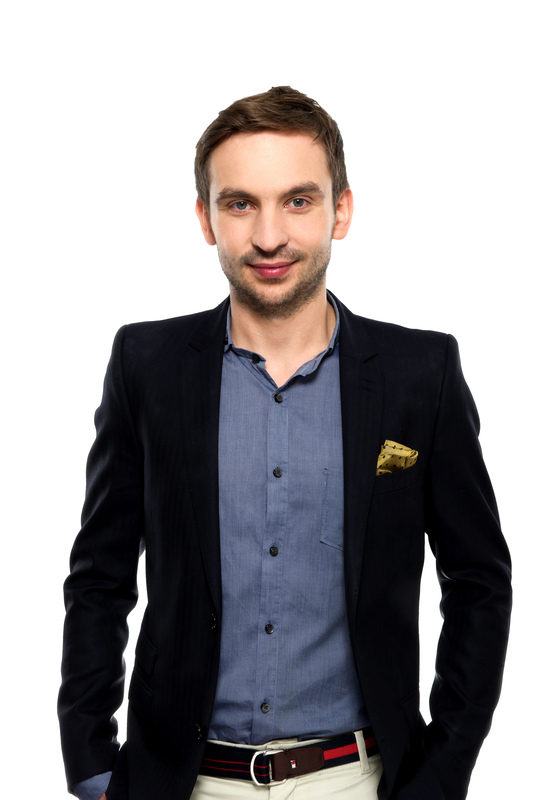 Kuba Koziej is the CEO and Co-Founder at Zety , a Polish startup on its way to becoming the greatest career site on the planet. He’s been responsible for growing the readership of Zety’s blog to 40 million annual readers in 2 years and expanding the team from 4 to 50 people. Back in the day, I was running an English language school in Warsaw for both companies and individuals. It was quite successful, but there was one major problem. Being in charge of a language school was neither fulfilling nor life-changing. After all, what impact did the school have in the grand scheme of things? Oftentimes, I caught myself thinking: Is this something that I want to do for the rest of my life? Then, in January of 2014, I got a phone call from Piotrek Sosnowski — my old friend who later became a co-founder at Zety. We’d been scattershot friendly, as, at the time, Peter was working as an HR consultant at Antal Poland. He then invited me over for lunch to discuss something that’d been on his mind for months. It turned out that he wanted to leverage his HR expertise and my business mindset to take an entrepreneurial path. He was determined to set out on a mission to create the best career website in the world helping people land their dream jobs; in part, by connecting job seekers with employers. Utilizing Piotrek’s expertise in HR and my marketing skills, we created a series of guides in the Polish language to help job seekers land their dream jobs and posted them on our new Facebook page. It was an instant success. Thousands of people would read our guides and share them with their friends. We saw some crazy engagement numbers, and it got us to double down. This is how Zety, then UpToWork — keep on reading, and you’ll learn more about the story behind our rebranding — came about and is now disrupting the job market. A couple of months ago, we were video interviewing a system administrator. The guy was dressed quite formally wearing a nice white shirt and a tie in his living room. At some point during the interview, his child walked in. The guy started to apologize, walking to the opposite side of the room to remove the child. When he stood up, we saw he was wearing boxer briefs. And when he came back to the computer, he didn’t even realize that we’d seen everything. That was quite hilarious. Piotrek and I were running our company for 3 months using our own savings to keep it afloat. After a couple of months, we broke even. There’s more. Not only did the company make ends meet but we also started generating a massive profit. Elated, we gave a brushoff to the venture round investors who were willing to throw at us several millions of zloties. Why wouldn’t we? We were growing steadily at 20% a month, and we were making enough money to keep things going on our own. It was all going silky smooth for 53 days straight. Until it stopped. What followed next was a legal claim from a massive US corporation. They made it imperative that we take our domain down. Reason? It was all too similar to their own brand. It was either that or they’d take us to court, and we’d have to pay damages. Go bankrupt and end up in debts to pay off for the rest of our lives. Here’s what we did to turn things around. We rebranded on the double trying to settle down with the company that issued a legal claim. What’s more, we rewired the entire business model of our company around profit rather than traffic. And even though we lost 70% of traffic, we managed to build it back within 6 months. As of today, the company is more profitable than ever, and we continue to grow at 300% a month. When it comes to leadership, there’s one quote that I always keep referring to. If you wish to build a ship, do not divide the men into teams and send them to the forest to cut wood. Instead, teach them to long for the vast and endless sea. I believe that leadership is the ability of a person to create an aligned vision that makes others crave to achieve it. In business terms, it’s articulating how the work that our employees do has an impact on the company and the industry as a whole. No wants to work for yet another money-making corporation. People want to work on something that’s inspiring and great. And aligning people’s aspirations with the company goals is what defines leadership for me. With that in mind, the best way you can inspire others to lead is through clearing the path for a decision and exercising a culture of ownership. I believe that great leaders must equip people with the confidence to make decisions and act decisively. I’ve had quite a few people who helped me along the way in my career. But there’s one person who had a huge impact on my business. His name is Ariel Finkelstein, an entrepreneur who co-founded as many as 30+ companies. In fact, he’s probably one of the smartest people I’ve ever met in my life. Unlike most business advisors who give you general advice, Ariel listens to the problem you have and presents you with a perfectly-tailored solution. Oftentimes, the solution could be tough, but he’ll give his reasoning as to why this or that needs to be done. Each and every time I spoke with Ariel, he was able to provide me with the best possible entrepreneurial advice, which is part of the reason why Zety is so successful now. Most business owners tend to have a great number of obligations and attachments. And while in the early days, I managed to sustain a death-march pace working 14–18 hours a day, I later understood that I had to find a way to fit my business into my personal life. So I came up with a certain productivity regime that enabled me to be work 8–10 hours on most days. New eating habits. Rather than cooking meals myself, I switched to takeaway food boxes that are not only healthy but also give me more energy during the day. In turn, it leaves me with more time for my personal life. Home cleaning. Cleaning my own stuff takes 6–8 hours/week. If you calculate the number for one year, that’d roughly translate into 364 hours. This is the time that I’d rather spend on more important things such as traveling and hobbies. Email templates. During the day, I receive a ton of emails. Most of them require a rather generic reply. This is when having email templates comes in handy. These help me save quite a lot of my time in the long run. Productivity hours. As I said, I find that working 14–18 hours a day and never taking a day off is neither particularly productive nor healthy. What I do instead is identify when I’m the most productive and try to squeeze the most critical decisions into that timeframe. Low-priority things can be done later during the day while sipping an espresso. The way I’d describe my current day-to-day mode is surfing on the waves of chaos, as it’s becoming increasingly difficult to have a life. I can literally feel the weight of tasks and projects building up that I have to take care of. Still, what I find helpful is remaining focused on the most important things, setting priorities for the day and saying no to or delegating things that are not urgent. If you surround yourself with the right people, your business will keep running even you’re not around to chime in. Set your priorities. Get the most important things done and leave the rest for your family and your interests. Delegate non-essentials to others. If there’s something that you can delegate to others and be sure that they’ll do an 80% good job — go for it. Disconnect from the business at dinner time and over the weekend. Set clear boundaries and resist the urge to engage in work at certain times during the day. Stay healthy. Find something that makes you invigorated, and it’ll give you some extra energy to achieve more with less time. The number of people who purchased our plans in 2018 equals to the number of the entire population of Orlando (280,000 thousand). Seeing these numbers and seeing how impactful we are gives me the utmost feeling of delight. I want to inspire others to genuinely ask themselves: Am I happy in my current job? And if the answer is no, I employ each and everyone to engage in something that truly makes them happy. Our days are numbered and wasting your time on something that does not make you tick is the luxury you can’t afford. If I could inspire at least one person to pursue their passion, no matter how hard it might be, that’d make me happy.